Posted on January 20, 2018 by Max U. Justice League wasn’t as good as Wonder Woman but it was a solid film that was funny and dark. I thought that it had a solid line that draws comedy and seriousness, which made it a fun film most DC fans could enjoy. My one problem with the movie is that why have the movie now? They had this movie a year after Batman v Superman. Which is nothing Marvel had to do to build up their cinematic universe. This made it seem like that Warner Brothers were just cramming in whatever they had into a film like the Avengers. The only thing Marvel did was space out each movie. I’m just saying I thought Warner Brothers should’ve introduced their characters first. But without a doubt I liked the film. It filled my heart with joy and laughter. They kind of introduced each character in the start of the film which made me a little happier. During the movie Bruce Wayne a.k.a Batman is faced with a extraterrestrial threat. He decided to assemble a team. This team is composed of many unique individuals. I was very shocked when i learned that Josh Whedon would be doing the film. Since he has been doing the Avengers movies it made sense why he helped with Justice League. The important thing to have in mind with DC movies is that it’s always a dark aspect. For example: Batman v Superman. The movie wasn’t a happy movie. It was a very new concept to me. I thought the dark aspect was good in the DC films. It really divides the Marvel movies and DC films apart from each other. It divides the fun filled movies with the dark and depressed movies. 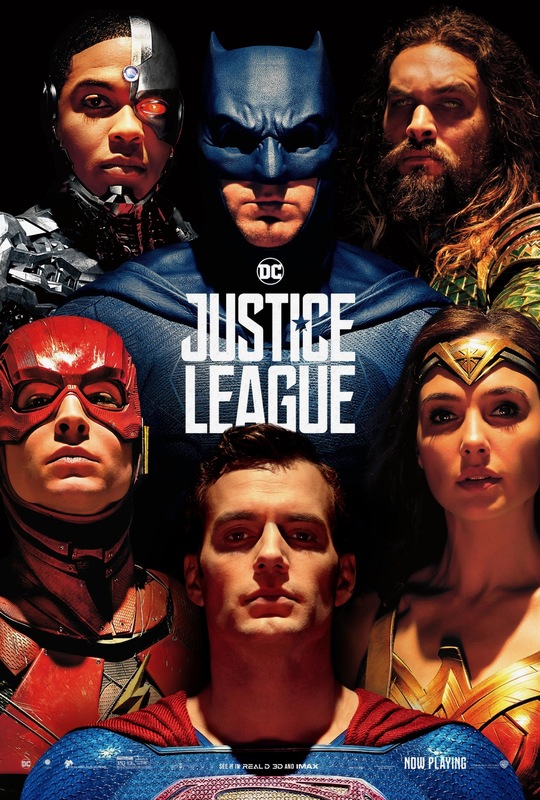 If you are very interested in a different aspect then the Avengers, then Justice League is the movie for you. I liked that it at least had some comedy in there. A fan favorite character would be Barry Allen or the Flash. He was very funny in the movie which might have boosted the score up on this movie. You could have seen that this was the work of Josh Whedon. His very funny creativity with the Flash was the very many things i liked in the film. My honest opinion of the film is a thumbs up. Posted on July 25, 2017 by Ava G.
I was really excited when I heard that DC had finally made the iconic Wonder Women into a movie. And I wasn’t disappointed. 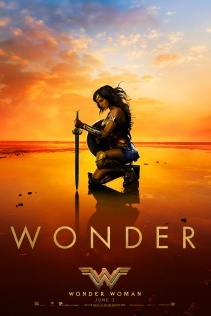 DC did a great job with the movie keeping Wonder Women the iconic female superhero that everyone remembers. Diana is just a little kid who wants to fight. Who wants to be just like all the other Amazons on Themyscira, even though she is the only kid on the island. But her mom, Hippolyta doesn’t want her to. So she trains in secret. But one day, Steve Trevor crashes into the island. Not far behind him, an entire army of Germans. The amazons, defeat the army, but they lose many and Steve explains the raging war, World War 1, the war to end all wars. Only Diana believes this is the war, created by Ares, that the Amazons were created to defeat. So she sneaks out, with Trevor, and they sail to Europe. Where she finally sees the full-scale of what she is dealing with. As well as how different modern life is compared to life on the Amazons island. She fights. Becoming the hero everyone needed. Helping give courage to those around her. Until she finds Ares. I really loved this movie. And I would recommend this movie to anyone who loves superhero movies.